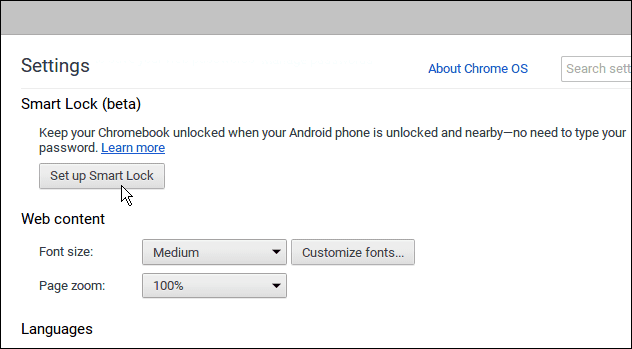 Typing a password to unlock your device gets tedious, but Google is making it easier to unlock the Chromebook if you have your Android phone with you. If you’re a Chromebook owner, and need to lock it down too when you’re not around, typing your password each time gets tedious. 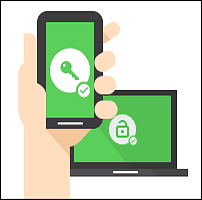 The cool thing is, Google is making it easier to unlock the Chromebook if you have your Android phone with you. To use what Google calls the “Smart Lock” feature, you will need an Android phone that’s running Android 5.0 Lollipop or higher. Also, your Chromebook needs to be running Chrome OS 40.x or higher, and this will require Bluetooth. 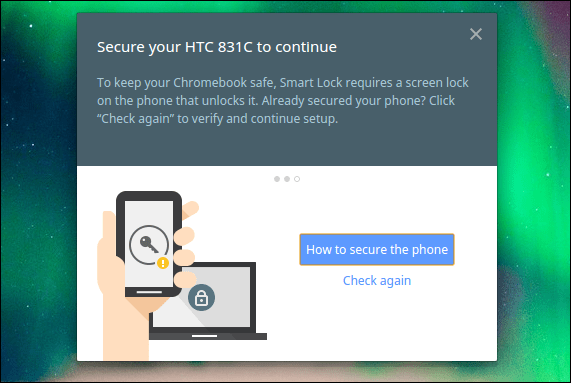 Before you start, make sure you Android phone is handy because you’ll need to pair the Chromebook and your phone via Bluetooth. On your Chromebook go to Settings > Show Advanced Setup. Then scroll down and click Smart Lock (Beta). You will need to log in to your Google account again to verify it’s you, and then click the Find Your Phone button to start the onscreen setup wizard. Note that you will need to have the lock screen on your phone enabled for this to work, too. 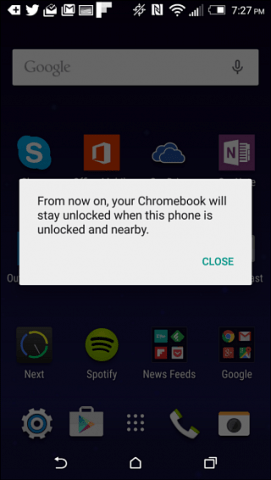 After your phone has been found by the Chromebook and paired up successfully via Bluetooth, you’ll get a verification message on your phone. 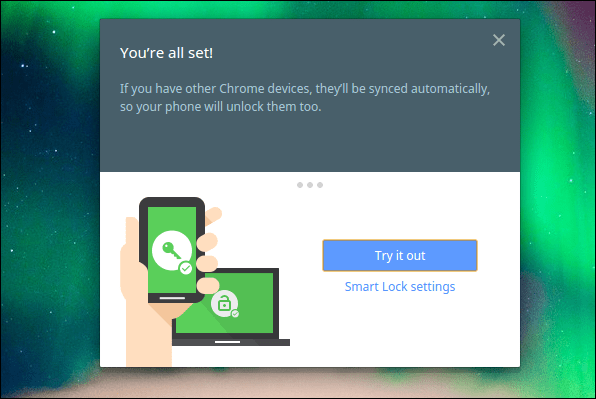 Now, when you lock your Chromebook, all you need is your phone nearby, and a green lock icon will appear with the text Click to enter on your login picture. Just click the Try it out button. Typing in a password to unlock your computer all the time gets old. Microsoft has made the process a bit easier by introducing the PIN login feature, and there are apps for Mac that make logging in easier, too. And now Google is making the log in process a snap if you also own an Android phone. Remember this is still in beta, and you’ll probably experience some bugs. But you can find more help at this Chrome help page.